*Low Price Guarantee! We will beat any online advertised price by $10! Also available in black under model 2830. 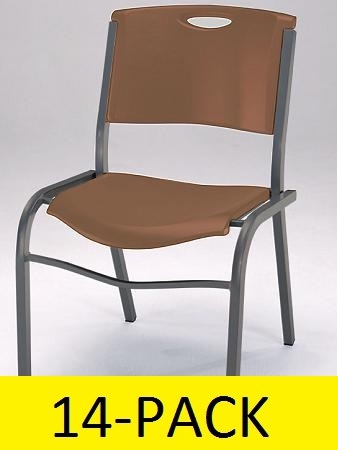 These brown stacking chairs model 80192 are the newest addition to the lifetime stacking chair line. With a heavy duty commercial steel frame these will provide years and years of durability. 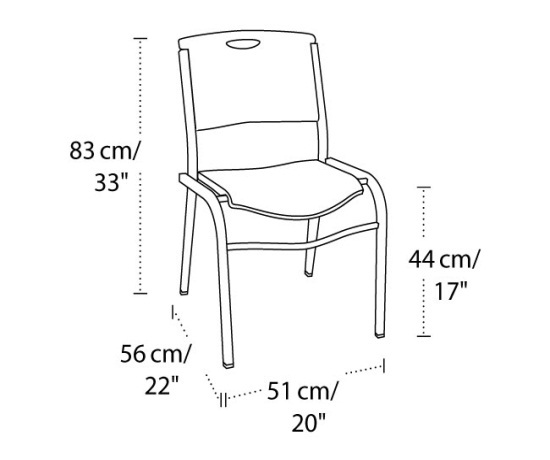 Having gone through rigorous testing they exceed the international furniture standards also known as BIFMA standards. The brown designed is made to look similar to leather and to match an array of professional settings. The contoured back and seat offer hours of comfortable seating. 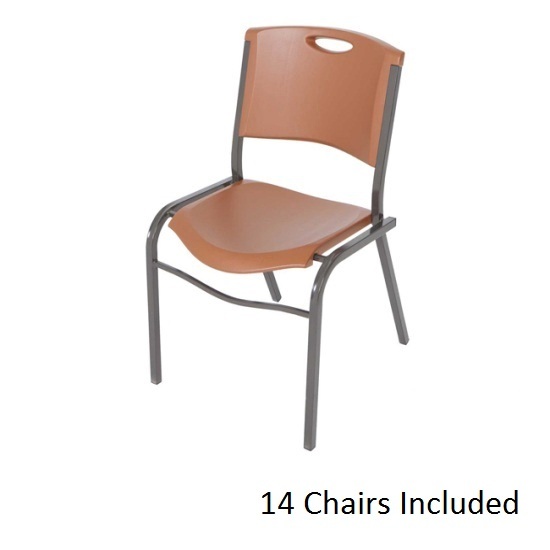 Great for use in conference rooms, concert seating, Sunday school classes and more. 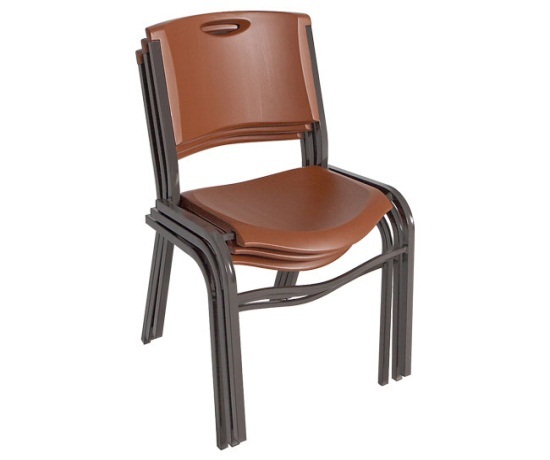 The lifetime brown stacking chair 80192 is destined to exceed your expectations. These are designed for indoor and outdoor use with an easy to clean surface. 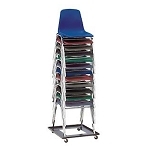 Set them up for classrooms or banquets for a great seating experience. Brown seat and back to provide attractive look. Exceeds BIFMA standards for weight limit and durability. Quick ships from Utah generally the next business day. UV sun protectants and rust proof finish. Stacks 10 high for easy convenient storage. Carrying handle built into back rest for easy transporting and set up. Non-marring feet to protect your floor. 10 year manufacturer's commercial warranty. 30 day money back satisfaction guarantee. Convenient delivery with freight company calling to set up appointment. 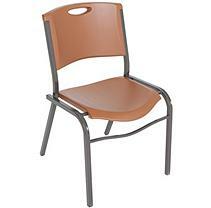 Competitive Edge Products, Inc. is an authorized distributor of model 80192 Lifetime Stacking Brown Chair. Dimensions: 45" x 42" x 30"